Wooden Privacy Fence Installation - Call Our Experts Today! | Advanced Landscaping & Sprinklers, Inc. If you’re thinking about installing a fence around your home for privacy or security reasons, you may want to consider a wooden privacy fence. Not only can a wooden fence improve the exterior decor of your home, it can help to prevent the entrance of wild animals and intruders on your property. At Advanced Landscaping & Sprinklers, we’re proud to be Northern Colorado’s Top Rated Local® landscaping and fence installation company. Whether you want to install a wooden privacy fence or a split rail fence around your home or property, we can help get the job done quickly and efficiently. If you’re interested in learning more about our fence installation services, or you have questions regarding our landscape installation or commercial mowing services, contact us today! If you live in Northern Colorado, you already know how unpredictable the weather can be. When you install a wooden privacy fence around your home’s perimeter, it will provide a protective barrier around your property that can protect your lawn and landscape from some of the elements. A wooden fence acts as a windbreaker, which prevents harsh winds and loose debris from flying into your yard, garden, and landscape. If the exterior of your home leaves much to the imagination, a wooden fence can help improve your property’s curb appeal. Whether you intend to paint your privacy fence to match your home or you’re fine with the earthy appeal of cedar, installing a fence around your property can do wonders for its worth. Most wooden privacy fences are specifically designed to last for years to come, which means they require little to no maintenance to stay in good shape. 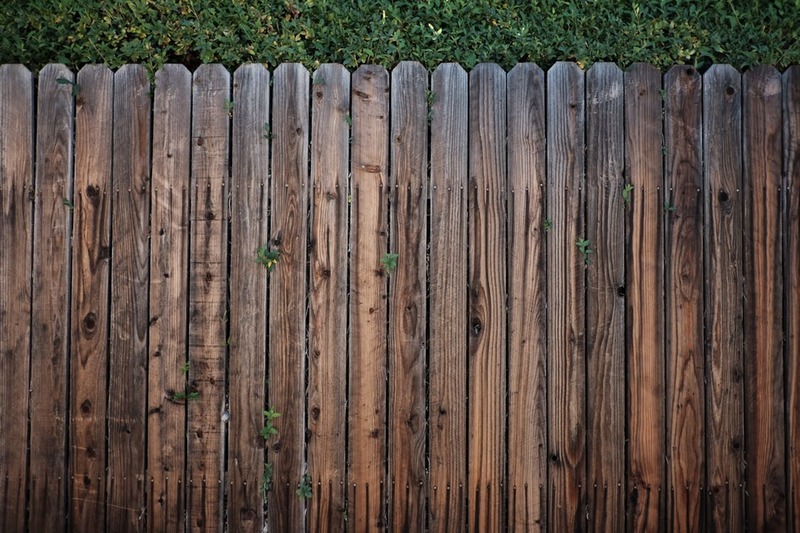 If you install an unfinished wood fence, you can easily protect it with a few coats of varnish. This will help when it comes time to clear away loose debris and leaves on your fence. If your wooden fence starts to rust, you can easily remove rust spots with a piece of sandpaper or a wire brush. If you live near a busy highway or public park, you can probably hear sounds of traffic or children playing from your backyard. While it’s nice to live in such a centrally located area, there may come a time when you decide that you need a little peace and quiet. Luckily, a wooden privacy fence can help you diminish loud noises from your yard and property. The thickness of a wood fence will do wonders when it comes to quieting loud noises around your home. If you live in Northern Colorado and you’re ready to install a wood privacy fence around your home or property, contact the professionals at Advanced Landscaping & Sprinklers today!